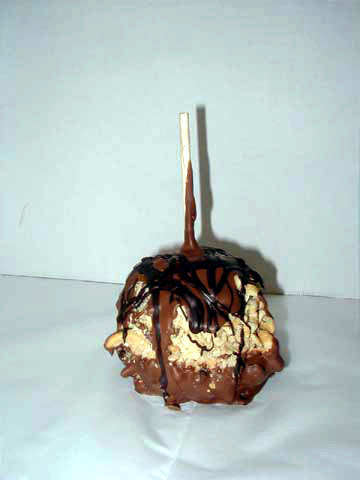 An oversized Granny Smith apple dunked in milk chocolate, covered in buttery toffee, dipped in another layer of milk chocolate then covered in chopped almonds! Yum, Yum!! A quick reminder - to maintain shelf life (up to 3 weeks), please refrigerate. To serve, bring apples to room temperature then slice. Rub a little lemon juice on uneaten portions and save for another day! 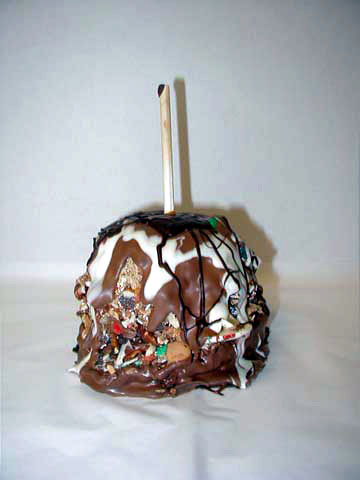 An oversized Granny Smith Apple dunked in milk chocolate then covered with a bit of everything, then drizzied with milk and white chocolate. A quick reminder - to maintain shelf life (up to 3 weeks), please refrigerate. To serve, bring apples to room temperature then slice. Rub a little lemon juice on uneaten portions and save for another day! 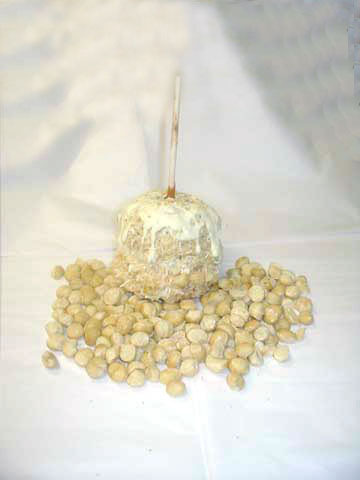 An oversized Granny Smith apple dunked in vanilla caramel, white chocolate, toasted coconut and salted macadamia nuts. Perfect for a Luau! A quick reminder - to maintain shelf life (up to 3 weeks), please refrigerate. To serve, bring apples to room temperature then slice. Rub a little lemon juice on uneaten portions and save for another day! 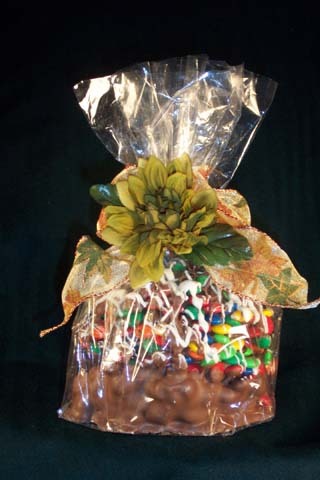 An oversized Granny Smith apple dipped in milk chocolate then covered in M&M candies. 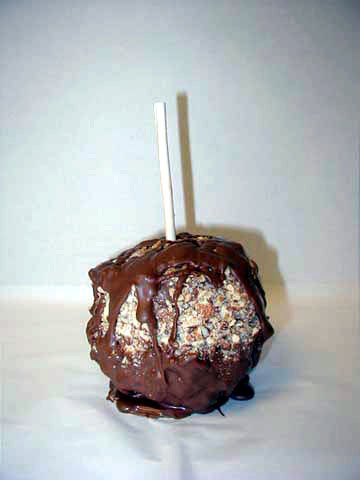 Dunked and dipped with more chocolate. A quick reminder - to maintain shelf life (up to 3 weeks), please refrigerate. To serve, bring apples to room temperature then slice. Rub a little lemon juice on uneaten portions and save for another day!